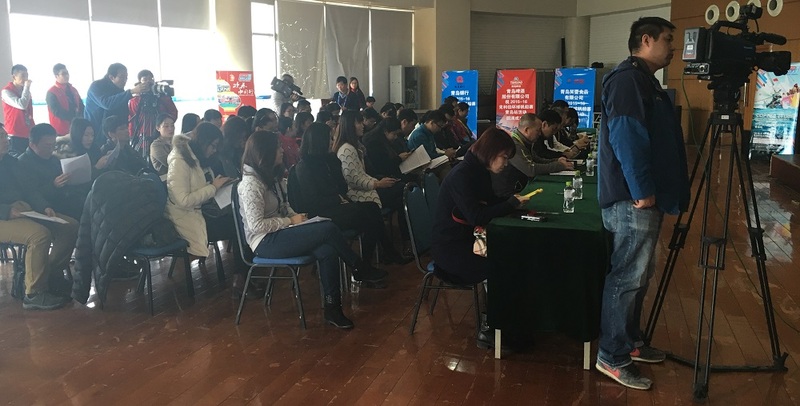 The city of Qingdao is ready to receive the Clipper Race fleet for the sixth consecutive edition and remains just as excited as it was in 2006, officials revealed at a packed press conference today overlooking the Olympic sailing venue. Mr Ji went on to explain that ‘The Sailing City • Qingdao Cup’ marks the latest in a series of firsts that the city has achieved with the Clipper Race over the time of its partnership, from being the first Chinese City to host the race and name a team, to introducing its first Chinese Sailor Guo Chuan, and the first Chinese woman to sail around the world, Vicky Song. The city is clearly excited to see the race back ‘home’ where the latest fleet was built, and has planned a big welcome ceremony, prize giving and many cultural events where the crew can experience modern life in Qingdao. Speaking on behalf of the Clipper Race, Jonathan Levy, our Global Business and Communications Director, thanked Mr Ji and told the media that he had seen the huge impact the Clipper Race had had on Qingdao. He said: “We are very pleased to have worked with Qingdao as our longest consecutive Host Port and Team Sponsor, to help you achieve a prominent position as China’s Sailing City and to build a strong legacy. 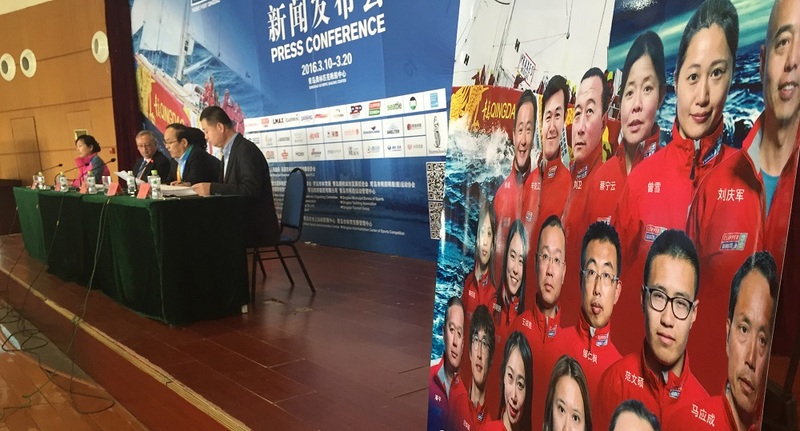 Initially we were the first international sailing event to come to Qingdao and now you have established a strong calendar of sailing regattas. 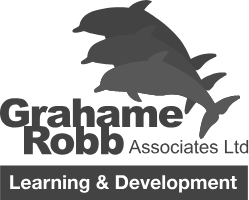 “This has extended to the ‘blue’ marine economy, supporting the growing maritime sector. In 2012 the Clipper Race built its new fleet of twelve identical 70 foot yachts here in Qingdao. They have proved to be strong and sturdy boats that have taken on the most challenging oceans on the planet. “In addition we have promoted Qingdao around the world and generated international trade opportunities, promoted tourism and built cultural understanding,” added Jonathan. The stopover in Qingdao will again host a full programme of celebrations, business and cultural events. Click here to find out more about the stopover schedule. Click here to follow the final days of action as the Clipper Race fleet battles for the all-important positions and points into Qingdao. The Clipper 2015-16 Race fleet is expected to arrive in Qingdao between 10 – 11 March after completing Race 8: The Sailing City • Qingdao Cup. Click here to keep up to date with the latest fleet ETAs.